Of course we have lots of talks about how he can’t touch it because it’s sharp and dangerous, but a couple weeks ago when I had it out, for the first time he asked me when he could use it. Anyway, of course the next thought was that he needed his own sewing machine! And if you’ve been reading for any length of time, you might know that the ultimate holy grail of crafting for me, is to make something awesome for as cheap as humanly possible. I don’t know if you read my Crafter’s Guilt Post, but this is one of those projects I sometimes hesitate to share because I do fully realize that this is not something everyone would want to do. But hopefully you’ll be interested in how I did it and think it’s cute? Maybe it will inspire other ideas? 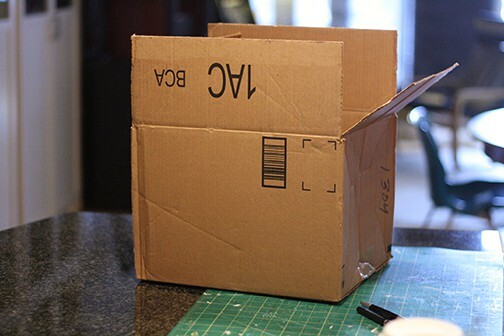 I am so into the idea of making things out of cardboard boxes these days (It helps that we live in a condo building where I can constantly access a gazillion in the recycling room). 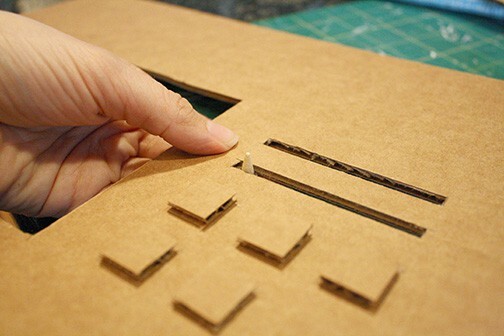 I personally like the raw corrugated edges but if you don’t, you could use matte board or foam board or something with more finished edge. I also want to add, because this is a question that I get a lot, this took me about half a day to make. 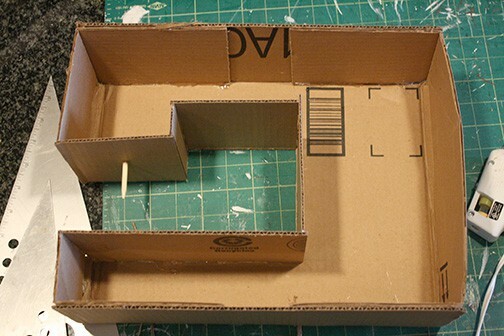 But I spent almost 4 years building architectural models so I’m probably speedier than most at building 3D volumes and working with cardboard. If you’ve never done something like this before, budget a more time. 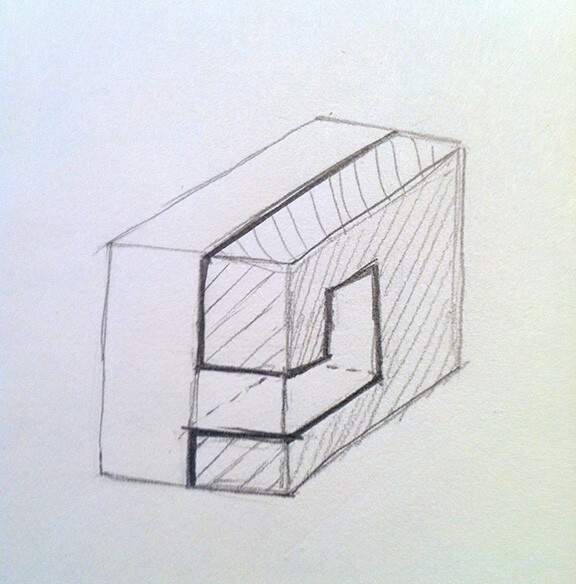 First I drew a little sketch of how I was going to cut the box so I could visualize it before I started. I wanted to cut as few pieces as possible. The thick line is where I cut. 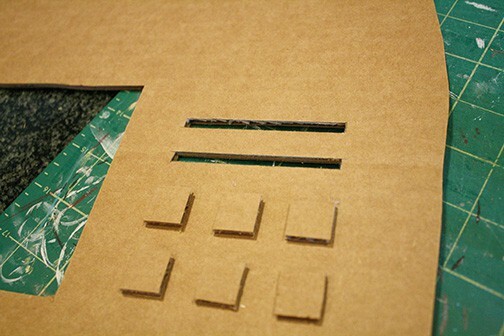 Then I transferred those marks to the box and cut them. The last picture is of it opened up. I flipped it over after that so that all the markings would be on the inside. Then I folded up the side flaps first and secured them with hot glue on the inside. Don’t worry if your seams don’t look great, it will all be on the inside. After that I folded up the tops and bottom flaps and glued those as well. I partly sharpened it with a pencil sharpener so it would look more like a needle, but not all the way so it wouldn’t be pointy or dangerous. 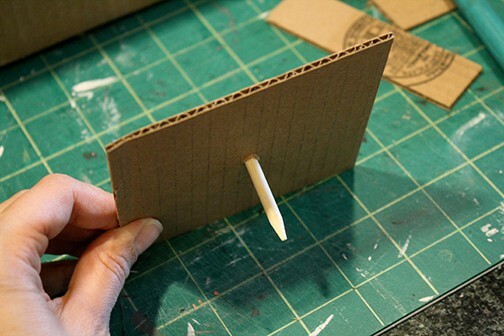 Then I poked a hole in the cardboard and inserted the dowel. I secured it on the inside with a big blob of hot glue. Before I closed it up, I added the flywheel and the spool pin. 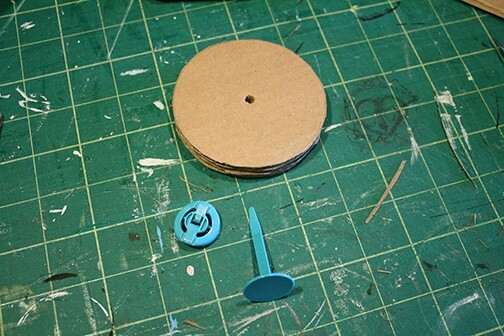 I cut several circles out of cardboard and glued them together to make the flywheel. 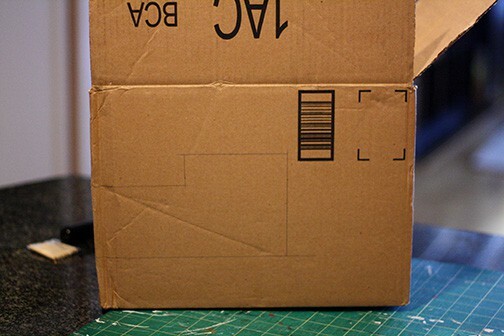 Like I said before, I like the raw corrugated edges of cardboard, but if you don’t, that’s cool, just cover them with paper or washi tape or something. That little blue post and clip are Makedo connecting pieces . I bought these myself and no one at Makedo knows me at all but I think these are the coolest things EVER. 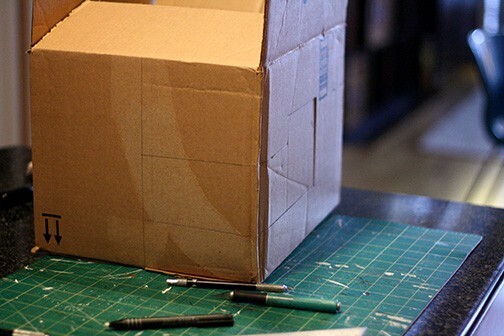 They make all kinds of connectors and hinges and things that you can use to transform cardboard and other found objects into really cool projects. Ten year old me was soooooo excited to learn these existed! 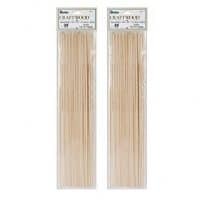 If you don’t have them, a regular old brad from the office supply store would work just fine. I poked a hole in the center of the flywheel with the included hole poking tool (technical term, I’m sure). Then I inserted the post piece from one side and then put it through a corresponding hole in the side of the sewing machine that I had poked with a screwdriver so it was a little bigger than the makedo post piece. This allowed the flywheel to spin. The little blue clip snaps on from the back side (it’s adjustable) to secure it. Now the flywheel turns just like a real sewing machine! 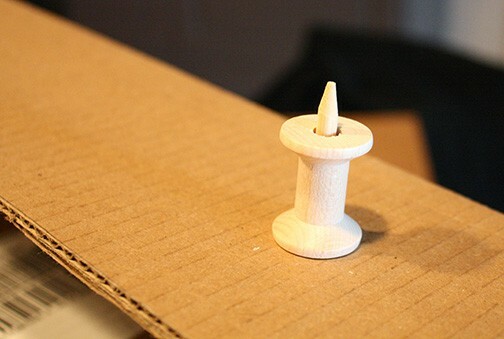 Then I used another little dowel to make a spool pin. 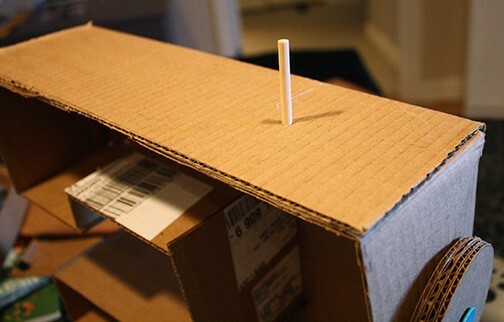 Same method as the “needle’, poke a hole, put in the dowel, secure from the back with a blob of hot glue. Me: Should I leave it so O can take the spool on and off the post? Ha! He had a good point, so I needed to secure it. 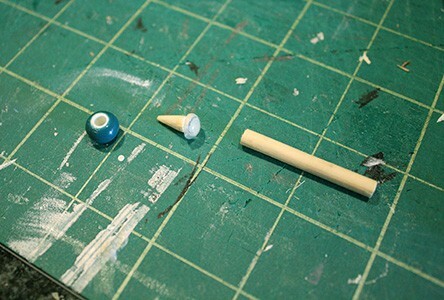 I sharpened the end of my dowel a little bit with a pencil sharpener again and glued a little bead to the top to keep the spool on. 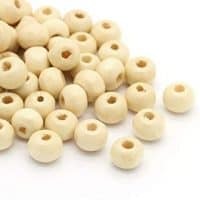 If you had a bigger bead that fit, you could skip the sharpening step. The spool still spins around so it’s plenty fun. Before I attached the front to the machine, it was time to add some details. 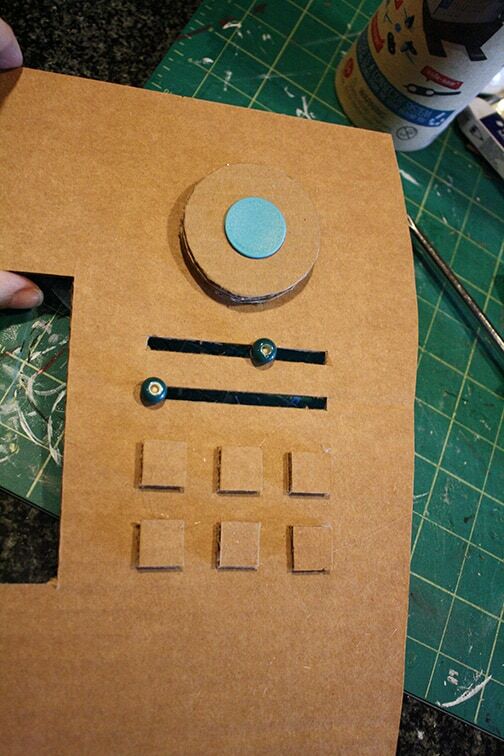 I made some square buttons and another dial for the front using the same method that I used for the flywheel. I also wanted to add some moving levers like a real sewing machine might have for stitch length or width. First I cut two slits across the front. 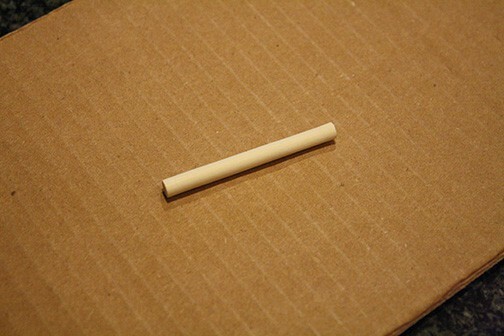 Then I used a little piece of dowel that would fit through the slot. I put a blob of hot glue on the back side so it wouldn’t fall out. Then I put it through the slot and attached a bead to the other end. Now the beads slide back and forth across the slots! 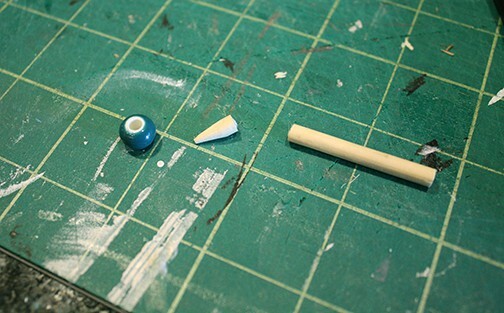 Then when all those pieces were added it was time to attach the front to the body of the machine carefully with glue. When that was done I just added a few more details with a white paint pen and put some cute washi tape around the bottom and I was done! 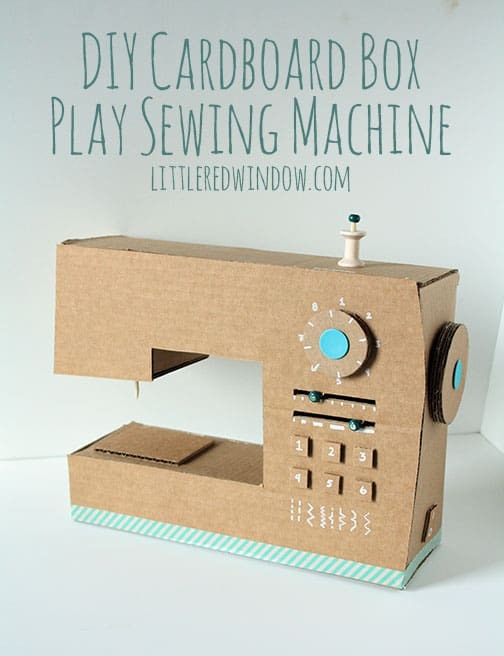 Make an adorable DIY Play Sewing Machine from an old cardboard box! Your little one will have a blast playing with it! 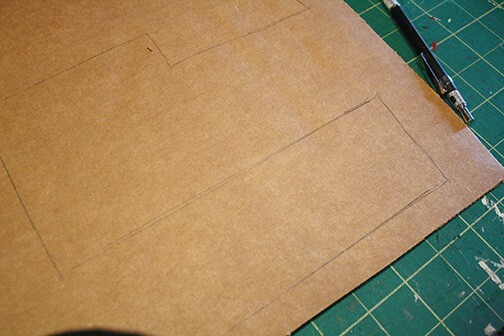 Sketch and then build the basic sewing machine shape, leaving the front face off for now. 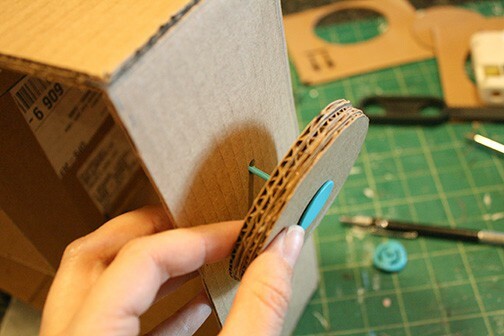 Add the flywheel, needle and spool spindle to the sewing machine using hot glue, makedo connectors or brads, securing with glue on the inside where it will be hidden. Add the stitch selectors, dials and buttons to the front face of the sewing machine, cut slots for the levers with your craft knife. 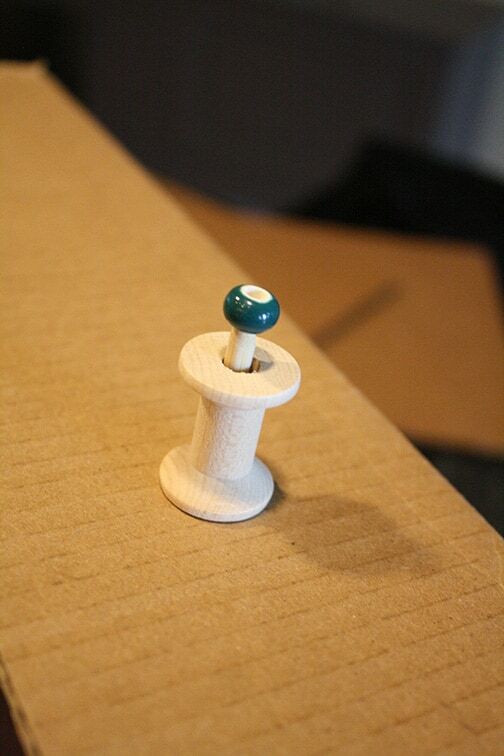 Use dowels with beads on either end to make the sliding levers. 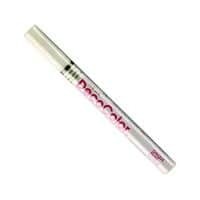 Add details with a white paint pen. 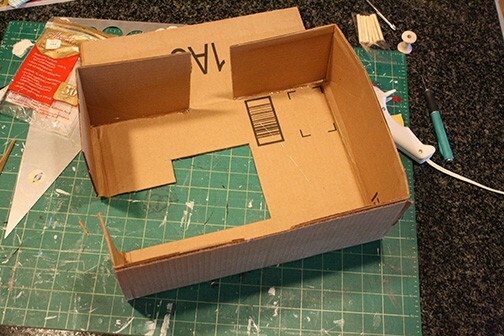 Use hot glue to attach the front face of the sewing machine. 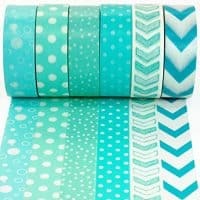 Decorate around the bottom edge with washi tape. 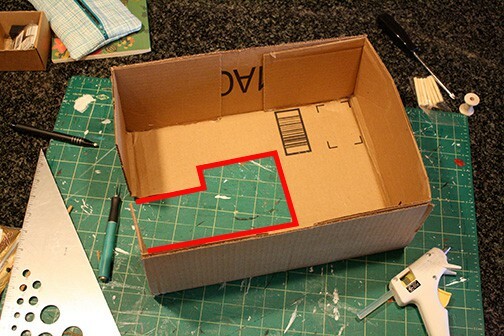 Dimensions will depend on what size box you start with, I recommend measuring and sketching your own box to start! O really liked playing with it, although I had to laugh when I set it down and he immediately said, “Where’s my fabric? ?” A quick trip to my scrap bin and he was all set! Pingback: אל תזרקו את קופסאות הקרטון! הנה 25 דברים מגניבים בטירוף שלא ידעתם שאפשר לעשות איתן! That is just UBER creative! I’ll share this on reddit and my other spots! 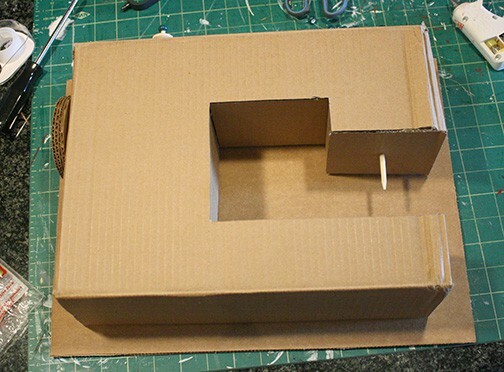 Can you please tell me the carton box’s dimensions in cm?? The finished sewing machine is 33 x 26 x 11 cm. I didn’t measure the entire box before I started but you can see from the photos how the finished size relates to the original box size. Hope that helps! I LOVE IT!! This is so amazing. My daughter (nearly 2) loves watching me sew and she is always trying to touch or “help” in some way. This would be so great to give her. 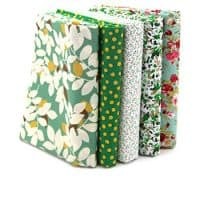 Will plan to make one this coming weekend!! I love it, I love it. Making things from cardboard boxes is my favourite hobby, apart from sewing, and corrugated card is wonderful to use. 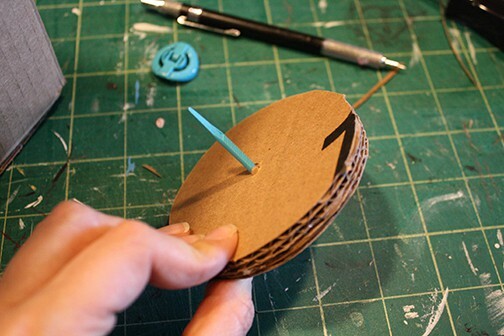 I usually don’t leave the edges raw – I paste them over with matching brown paper (even if I have to peel it from the box off cuts) and that makes lovely firm pieces. I am so pleased to see that I am not alone. Wow. 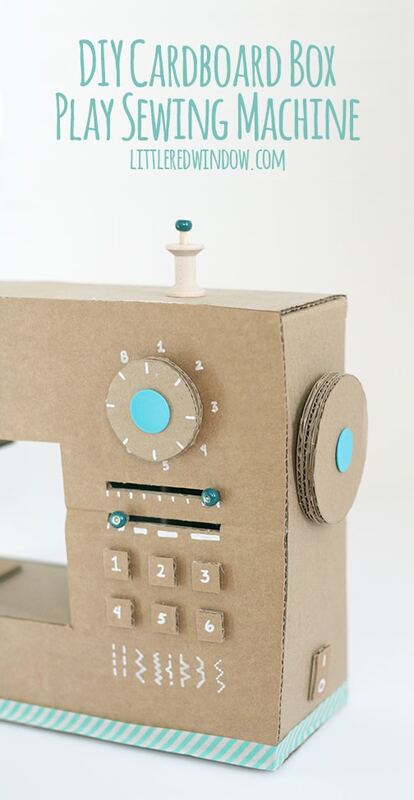 You give your little guy a great big hug from all of us for wanting you to make him his very own sewing machine. It’s fantastic and your step-by-step makes this look quite do-able. When we were 5 or 6 my sister told my mom she wanted HER very own sewing machine and it had to be one “with an engine” so I fully understand the desire. This would be a great centerpiece at a sewing association event and so, I’ve saved your instructions. Can’t wait to give it a whirl. You could decorate the front of the machine to match your own (real) machine. Set other hand made sewing “goodies” (i.e. thread catcher, pin cushion, etc.) around it and it would be the talk of the event. To think you did all of this for $0. Well……might have to add in the cost of your architectural degree as an additional cost. But….the cost to us is $0 and I thank you and your little guy SO MUCH for this fantastic project. He is SOOOO cute sitting there at his machine. 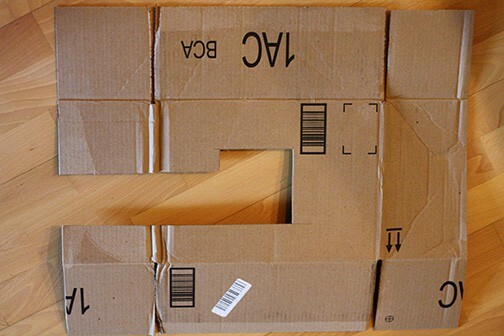 We’ll all be looking at cardboard in a totally different way from now on. I’ve seen this featured a few places now and had to stop and leave my comment too–seriously so cute and creative! Thank you very mutch for this tuto !! Like yours, my boy is too little ( 3 Years 1/2) for using my machine. I’m going to Make one un cardbord for him. Pingback: Saturday Show-licious Craft and Recipe Party-LIVE! How lucky your little boy is to have such a clever and creative Mum. 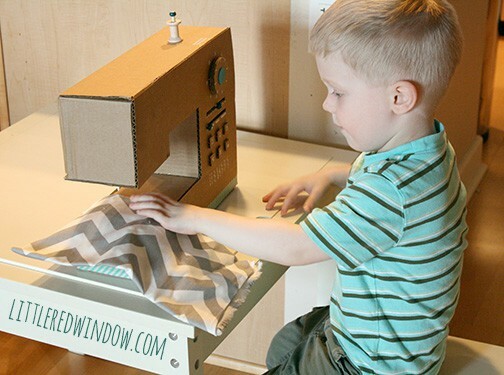 I love the last picture of your little boy concentrating intensely on what he is sewing on the machine… So cute! So clever and so creative! LOVE it! 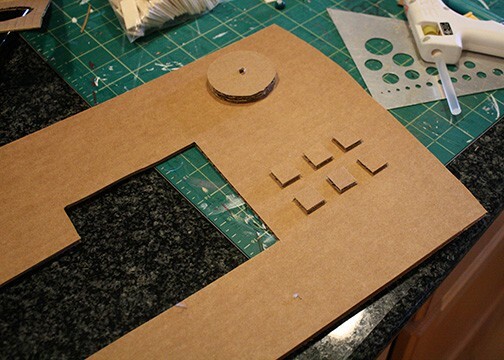 Once upon a time I made an entire desktop computer out of cardboard. I even gave the keys on the keyboard “action” by putting a piece of cotton under each one. This is fabulous! What a lucky kid. Thanks for linking up to Inspire Us Thursdays on The Inspired Wren. 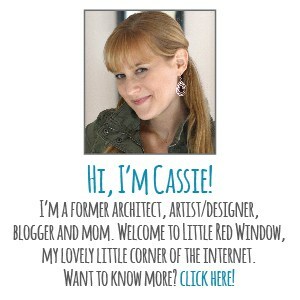 You are so creative and talented, Cassie! 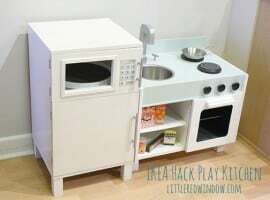 This would be so fun for my niece to make. Absolutely love how you took the time to take pictures for the step by step tutorial! Thank you for sharing this DIY with us at the Show Stopper this week… love anything that has to do with sewing! I’ve also pinned, it’s too cute to not be shared! Oh my goodness! My boys would think this is great! This is the cutest and most creative thing ever! I bet he loves it! 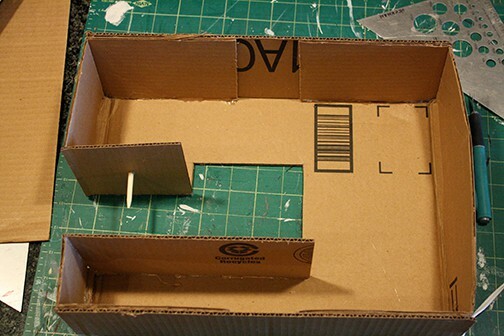 It’s amazing the things you can make with a cardboard box. Love it. Thanks so much for sharing on Inspire Me Wednesday. Featuring you in this week’s issue. This is SO much fun! Even though I pinned it to my “Kiddos: Someday Not Today” board, I don’t know if I can wait until then to create one. Off to share with my Facebook fans, too. Thanks for the inspiration! awww, thanks Lauren! If you do, send me a pic!! Featuring this at the party this week Cassie. Thanks for sharing. Will be pinning & tweeting it! I linked it up last week, Alexis! Thanks for stopping by! This is beyond adorable! What a terrific project! Thanks so much for sharing it with us! I could not love this more! 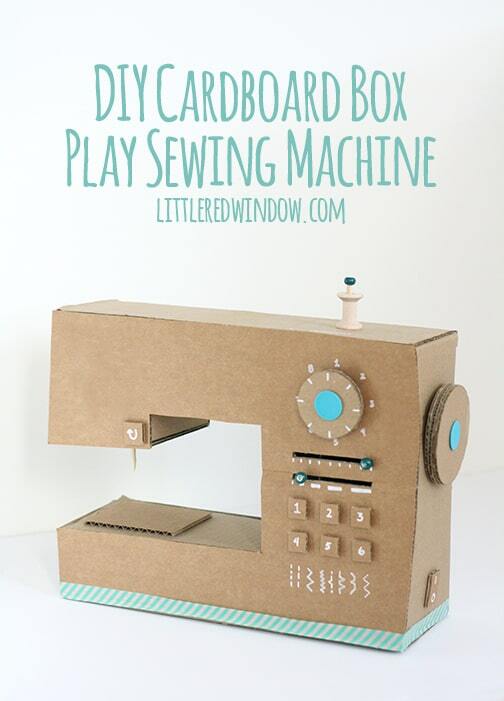 It’s amazing that you saw a play sewing machine for your little guy in a cardboard box! This is adorable! Thank you for the tutorial! Cassie, I absolutely LOVE this! The end result is so adorable not only for play, but as a photo prop or just a piece of art! Thanks so much Kayla!! Thanks for featuring it this week! This is just darling! O must just love it. You are so creative! Thank you for sharing at What We Accomplished Wednesdays. Have a great week! This is so creative and cute! Great job! This is absolutely adorable!!!! I love it!!! I shared it all over the place! 🙂 Also sharing some Pinterest and Bloglovin love! Can’t wait to come back! That’s so sweet, Amy! Thank you!!!! hey, thanks for stopping by! Nice to meet you! SEW impressive! You did a great job. Please come share at the Anything Goes linky if you have not already. OMG…This is the cutest thing EVER!!!! Pinned! 🙂 Thanks for sharing it with us! ADORABLE!!! Any child would love to play with this. 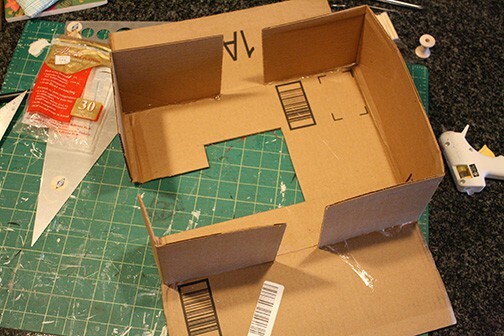 Way to put those architectural model-building skills to creative use. Pinned it!! Gotta make that degree worth it Christina! 😉 Thanks for stopping by! Thank you so much for this tutorial. I see several American girl sewing machines in my future! That is a great idea Mary! I love it! Send a pic if you do it!!! This turned out amazing! Pinning for later! That is so cool. I love the final picture. Adorable! Looks like fun. What a clever idea!. Awww! What a cute idea for kids who want to copy everything mom does. Thanks for linking up with Hump Day Happenings! So crazy crafty! Love it! Stopping by from SITS girls on FB! Oh MY! Seriously you just got a new fan! This is adorable! Pinning and sharing later on my page! Thanks Dayna! Nice to meet you!! Oh this is so cute, I love it! And to think it’s just made out of stuff that can be found around the house 🙂 Great job! That’s awesome! I love that it’s a recycled project, too. I hope my son wants to sew when he’s older! Absolutely adorable and fantastic that it cost $0! Your little guy looks so cute working there. Mine would love one of these. Pinning and planning to feature you at the next party. Thanks for linking to the Craftastic Monday party at Sew Can Do! Thanks so much! Thanks for stopping by!!! That’s adorable! 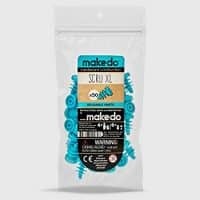 We love our Makedo connectors. Aren’t they soooo awesome Shecki?! How cute! 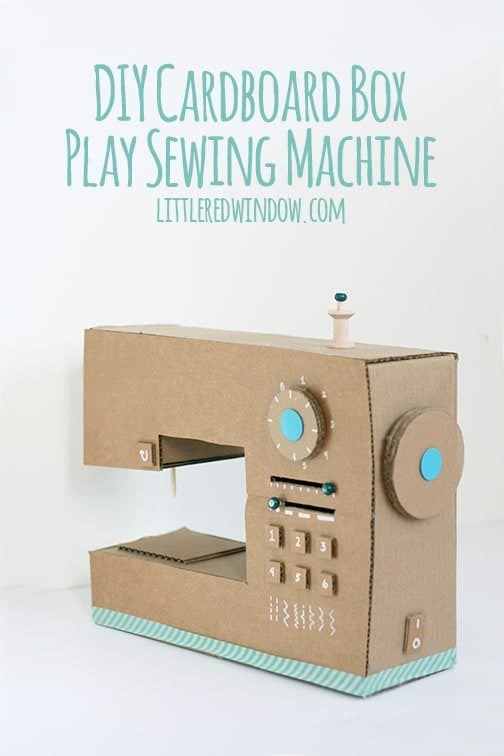 What a great way to get a child into sewing! I just taught my 7 yo grand daughter to sew on my machine..she made a lap quilt and wants to do another one! I can’t wait for that, Cheri! No way! This is too cute! LOVE it! How could we not think this is cute?! It is adorable. Looks like a lot of work but results are completely worth it. Hope he had fun sewing with mama. I just pinned this treasure. Eeeek! So cute. 🙂 Thanks for sharing……pinned it! This is SOOO cute. It’s so creative. I’m pinning this to share wiht my friends with kids. They would absolutely adore this! so cute. I stumbled and pinned this! OH MY WORD. This is unbelievable. I am crazy for this project… you should sell these!! Please come share on our link party going on now. I’m also going to be pinning this like crazy. I love it. oh my gosh, thanks Amy! I can just imagine you two sewing together. So sweet!